Evening Loverlies! Been kind of busy this week with appointments and such. Got some books from the library and I need to get on the ball and start reading them! I shall attempt a Nora Roberts book tomorrow. I have never read Nora Roberts before, I really hope I enjoy it. I've been doing some art lately called Zentangle. 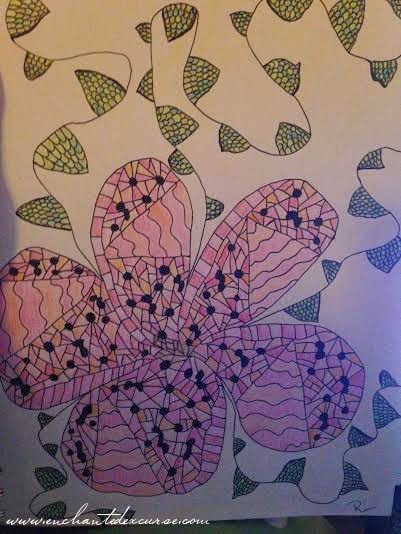 At least been attempting what I think Zentangle is, lol. 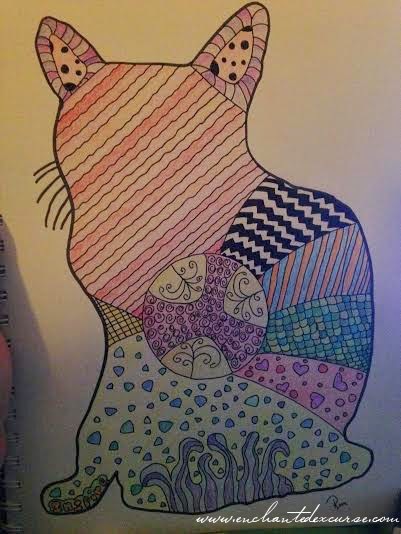 Here is a LINK about what type of art Zentangle is. I love it to be honest! I even had a friend ask me to draw a manatee with my Zentangle art so he can consider using it as a tattoo. I will show y'all those drawings once I get it mailed to him, I don't want to ruin his surprise of what I have drawn. 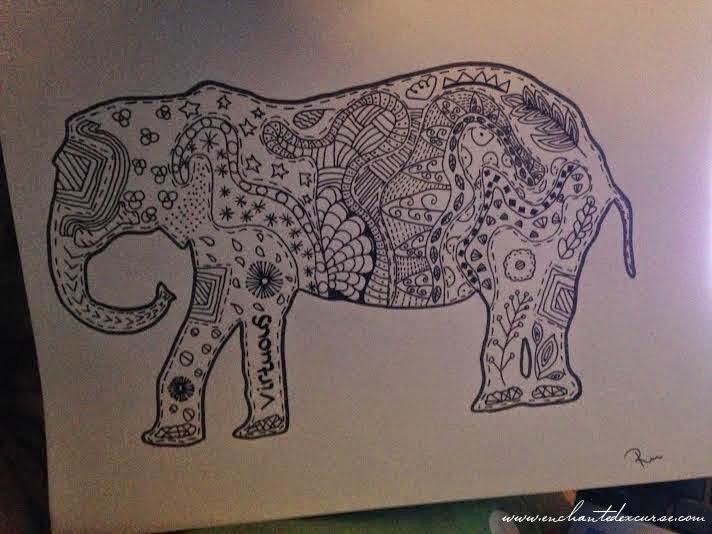 lol What I normally do is find silhouette's of animals or anything and just add Zentangles to them. 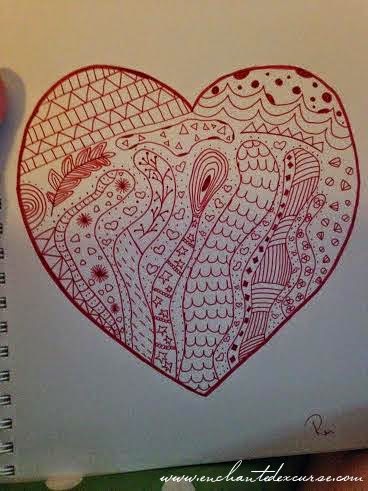 I sometimes just come up with it or find Zentangle patterns online to help me. There are quite a few of Zentangle books at hastings I have noticed. Maybe soon I can plan on purchasing some of them. They also have some Manga art books that look fun to try and attempt! Anyways, I am gonna show you a few drawings I have done so far. They aren't the best picture quality, but I felt you can see them well enough. :) Have A Blessed Day!